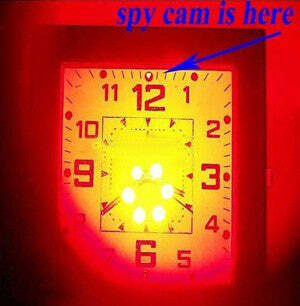 Tips: Press the laser switch button continuously, the blink frequency of the six led lights will be changed from slower to faster in each two seconds, and there are total 8 blink frequencies for this detector. This was very helpful. the instructions in the box are lame. I am having trouble finding the source. Tell me about the GPS part on this machine. Really anything you can tell me would be helpful. My uncle gave this to me and I couldn’t figure out what it was,but after reading this article I now know thank you!!! Rick Carter - Apr 25, 2014 There are no instructions on how to charge this detector. i bought two of those items, the cc308. i was of the view that it can locate cell phones in the prisons, even when the cell phones are off. is it possible? I need to know if this detector is a guaranteed to work ? jane kiesel - Apr 25, 2014 is it normal for the cc308 to beep when the microwave is on? is it ok? when the cc308 is on the counter , turned on very low..I walk over to it and as soon as I touch it it beeps ..is that normal? odes it mean I am giving off some kind of electricity? As an RF detector, it is very rudimentary but it can work. As a camera finder, I have yet to find anything better and I have used just about everything on the market. Yes, it will go off near a microwave, as most microwaves emit 2.4Ghz. It’s a big ugly signal on a spectrum analyzer. No, the cell would have to be on. To find a cell phone that is off, you would need a Non-Linear Junction Detector (NLJD). I assumed most prisons had these. If not, they should.